•	Control of the homeowners’ association has been turned over to the unit owners. •	Is there current litigation involving the association? •	How many units are investor units out of total count? •	Are there more than 15% homeowners 30 days or more delinquent in association fees? •	Does any single entity own more than 10% of the units? By getting answers to these few questions, you may find out sooner than later whether you will have difficulty obtaining financing for the home you want to purchase. “All-In/Single Entity” (sometimes known as an “all-inclusive”): The policy must cover all of the general and limited common elements that are normally included in coverage. These include fixtures, building service equipment, and common personal property and supplies belonging to the homeowners’ association. The policy also must cover fixtures, equipment, and replacement of improvements and betterments that have been made inside the individual unit being financed. If the unit interior improvements are not included under the terms of this policy type, the borrower is required to have an HO-6 policy with coverage, as determined by the insurer, which is sufficient to repair the condo unit to its condition prior to a loss claim event. “Bare Walls”: This policy typically provides no coverage for the unit interior, which includes fixtures, equipment, and replacement of interior improvements and betterments. As a result, the borrower must obtain an individual HO-6 policy that provides coverage sufficient to repair the condo unit to its condition prior to a loss claim event, as determined by the insurer. Depending on the type of loan you choose there can be a requirement for flood insurance. Buyers need to know this information when looking into purchasing a condo. To determine eligibility for your condominium contact your lender and discuss what information you have and need to obtain for a smooth transaction. This adds an additional step to your mortgage process so make sure you have sufficient time to process your loan application. Categories: home buying | Tags: applying mortgage, arizona, cobalt mortgage, condo, Home Buying, home mortgage, home purchase, ingrid quinn, mortgage banker, paradisevalley, Phoenix loan officer, scottsdale loan officer, scottsdale mortgage | Permalink. Don’t Kill Your Credit Score! Credit, Credit, Credit! Your credit score is a crucial part of your financial future and present. Whether you are looking to open a credit card, buy a home/vehicle your credit score will not only dictate your ability to make that purchase, but also what interest rate you will have. 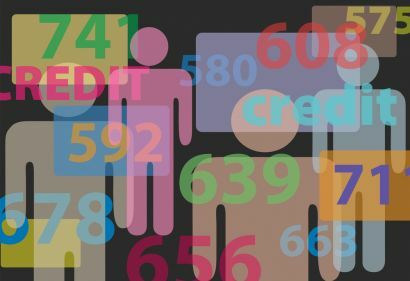 You have three different credit scores, but for this article I am going to focus in on one and that is your FICO credit score. It registers on a range of 300 to 850. You should strive to have a score of 780 or higher to be in the best shape to make major purchases with the best interest rates. In the mortgage industry we suggest that our clients hold a minimum of a 620 credit score. This is primarily the lowest score most, not all, lenders have as a threshold for a mortgage. Now let’s get down to what this article is all about. What can damage your credit score and what you should look out for. I will discuss seven different things that can greatly affect your credit score. You should never accumulate large amounts of debt. Yes, keeping a large balance on a credit card can enable you to increase that cards limit. However, you need to be aware that your debt effects about 30% of your overall credit score. This may seem like a smart move if you are having credit issues, but the length of time you hold a line of credit also effects your credit score. If you are able to maintain a credit card for many years it looks much better on your credit as opposed to quickly paying off balances and closing cards. Nobody wants to see a late payment charge on their account and payment history is a major factor that lenders look into. For your FICO credit score, payment history makes up about 35% of the score. It may seem obvious, but failing to pay back an owed amount to a lender will severely damage your credit score. The largest form of default is bankruptcy or foreclosure on a home. Both of these situations can easily cut your credit score by 100 points. This is when the age old phrase “to much of a good thing,” comes into play. Applying for a loan or credit card with numerous creditors can cause your credit score take a small hit. If you apply for multiple lines of credit at the same time, those little hits will add up quickly. Many people are cutting up their cards and closing their accounts in hopes of helping to keep them out of debt, but this is a double edged sword. On the one side you are not accumulating more debt and in turn do not have to worry about payment. On the other hand, you are not showing payment/credit history and are not helping your credit. Having a small credit card that you use for something specific like fuel or groceries is smart to have as long as you are able to make your payment at the end of the month. We all have friends and family we care about. There are times where those people may need our help to qualify to receive a line of credit. You must take precautions when choosing to co-sign on anything. If you are not fully capable of taking on that debt alone it may not be the best choice to help. You should always prepare for the worst and if for some reason the person you co-sign with is not able to make the payment it will become your responsibility. You don’t want to be faced with a collection agency looking for money from you because you tried to help someone out. These are all great examples of what can hurt your credit score and things you should look out for. You should always be diligent about keeping up with your credit score and know what’s going on. Work smarter so you don’t have to work harder in the long run. Categories: Uncategorized | Tags: arizona, Credit Repair, Credit score, home purchase, ingrid quinn, Mortgage, paradise valley, phoenix, scottsdale, tempe | Permalink. In today’s volatile market, consumers need to understand what a lender offers as options for locking in their loan. Many consumers think that when they begin speaking to a lender, the rate they discuss that day will be the rate they carry from there on. However, this is not the case. Laws govern what constitutes a loan application. An actual loan application requires that 6 pieces of information are received, which triggers disclosures for the good faith estimate and the ability to lock in loans. These items are social security number to pull credit, borrower name, estimated value, monthly income, loan amount sought & property address. These six things are important because without these six items a lending company is not able to give a borrower a locked rate. A borrower is required to give all of the information except the address when prequalifying. Once you have a property under contract then you have the ability to lock in a rate for the loan. Loan rates are locked in for a specific period of time. This time frame is based upon the close of escrow date. Typically loans are locked 15, 30, 45 or 60 days. There is the option of locking in rate for a longer period of time, but this is mainly used when you are purchasing a home that is being built for you and will not be completed with in 60 days. What does locking in a rate/loan actually mean? When you lock your loan your lender should provide you the rate and/or points as well as the specific date of expiration of those terms. Regardless of how the market changes, your rate will continue to hold as it was locked. This can be both a good and bad thing. Whether the market improves and rates lower or the market worsens and rates increase you are guaranteed to have the rate you have in writing. There can be an exception to these rules, but only with some lenders. This is called a renegotiation policy. This can typically occur when the market improves at least .25%(depending on your lender’s rules) and your lender will allow you to change your locking contract. Keep in mind that when you choose to lock in your rate, you are asking the lender to protect you and you are making a commitment to do the loan with your lender. The shopping rate time is over. Renegotiation is a courtesy provided by your lender. Borrowers need to make sure that when they go to lock in their rate, that their lender gives them their terms in writing. You should never assume something has been done without seeing it in writing. 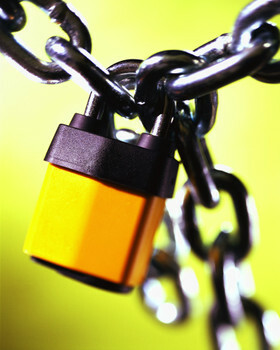 Be safe, talk to your lender about locking and what their renegotiating options are. Never hesitate to ask questions and learn as much as you can. For questions for suggestions please feel free to email me at Ingrid.Quinn@CobaltMortgage.com or visit me at http://www.scottsdalemortgageexpert.com or http://www.CobaltMortgage.com/IngridQuinn . Categories: Loans | Tags: applying mortgage, arizona, cobalt mortgage, first time buyer, Home Buying, home loan, home mortgage, home purchase, Interest rate, Locking, Mortgage, paradisevalley mortgage, purchase home, real estate, refinance, scottsdale, scottsdale loan officer, tempe | Permalink. Mortgage points generally refer to a loan origination fee and/or discount points. Discount points refer to the amount of money that a person pays to a lender to get a loan at a specific rate. Points are paid when discounting the rate for a loan. A lender usually has a menu of rates available on any given day at a variety of costs. Par pricing is when no discount points are required. An origination fee is what a borrower will pay the lender for their services. Since the change in lending and disclosure rules in 2009, the term origination fee was changed to origination charge. The origination charge will include any lender admin fees and an origination point if applicable. Before you can even consider whether or not purchasing points is a good idea, you have to make sure that you will have the extra cash because points will increase your total closing costs. Points can be financed into a refinance transaction but not into a purchase. 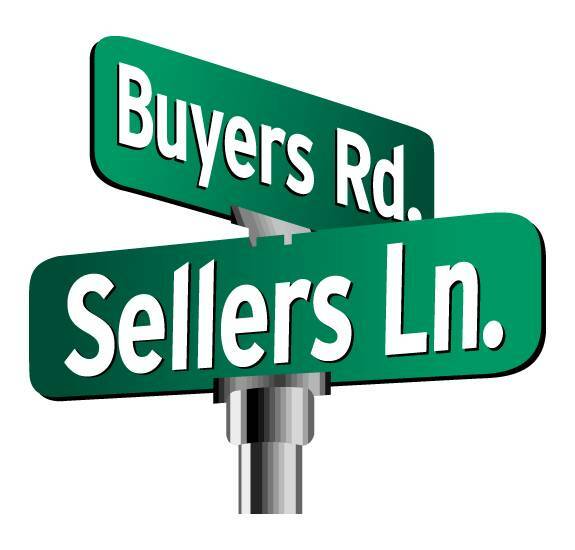 Sellers can pay points for a buyer as part of a closing cost concession. Positive mortgage points can be viewed as a form of pre-paid interest. Each point is equal to 1% total loan amount. Why would you want to pre-pay a part of your interest? The buyer is offering to pay an up front fee to receive a discount on the interest rate. The reduction in interest will give the buyer lower monthly mortgage payments. 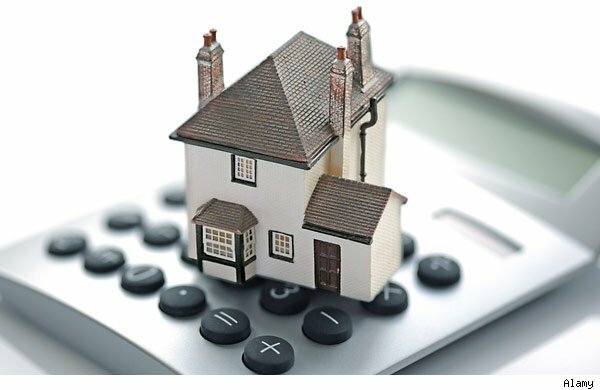 With mortgages duration of typically 15, 20 or even 30 years, the discount points will help save you a huge amount of interest over the life span of the loan. Positive discount points are usually worthwhile to a home buyer if he or she will maintain the mortgage for a while. There is a second type of mortgage points, negative mortgage points or as termed, Yield Spread, work very much like positive mortgage points except in reverse. Instead of you paying the bank to lower your rate, the bank will pay you to take a higher rate. As an example, if you were offered a rate of 5.5 percent on your $100,000 loan. The bank is now offering you one point to raise your rate to 5.75 percent. Therefore, they are basically giving you $1,000 in order to raise your interest rate. This will also result in you paying a higher mortgage payment every month. These points don’t end up as a written check for the money. The yield will just be applied to your total closing costs on the loan. Closing costs can result in a few thousand dollars of out-of-pocket expense. Amounts for closing cost vary by state, location and amount of loan requested. Purchase transactions and refinances can have a difference in costs too. “Breaking even is a major factor in deciding what to do with points. Something the buyer will want to inquire about is how long it will take to “break even” in regards to possibly selling the home before their loan is paid in full. You will want to have retained the mortgage at least until you “break even”, if not longer, to make it worthwhile to reap benefits from discount points. Keep in mind there may also be a tax benefit to paying points and you will want to consult a tax advisor on this subject and what may be beneficial to your individual circumstance. Categories: Uncategorized | Tags: closing cost, cobalt mortgage, cost to buy, down payment, fico, first time buyer, home buyer, Home Buying, home loan, home mortgage, home purchase, ingrid quinn, loan officer, Mortgage points, paradise valley, real estate, refinance, scottsdale loan officer, tempe | Permalink.